MWWM: Men Who Wear Makeup, Will Indians Ever Come To Terms With It? "Can you please pass me the concealer? "This foundation is perfect for my skin tone." "Do you think my eyeshadow matches my lipstick?" If you thought these were a couple of girls talking to each other about their makeup then, you are wrong. Instead, these are men and if you're shocked, let me tell you, it's 2018 and this is a reflection of the events that take place in the real world. Boys have always been overshadowed by the idea of 'masculinity' and they always feel the need to live up to it but today, there is a new avenue which has opened up and it challenges the traditional idea of 'masculinity'. "Male grooming is now a multi-million-pound industry." This is not from hearsay but factual information, the male grooming industry has been expanding since the last few years. From selling fairness creams for men (when will it be banned?) to hair removal products, men have enough options to transform their skin and hair. But, how many are ready to accept the idea of wearing an exfoliating mask while waxing your leg hair? This is most men's biggest nightmare. They would rather be caught supporting Donald Trump. 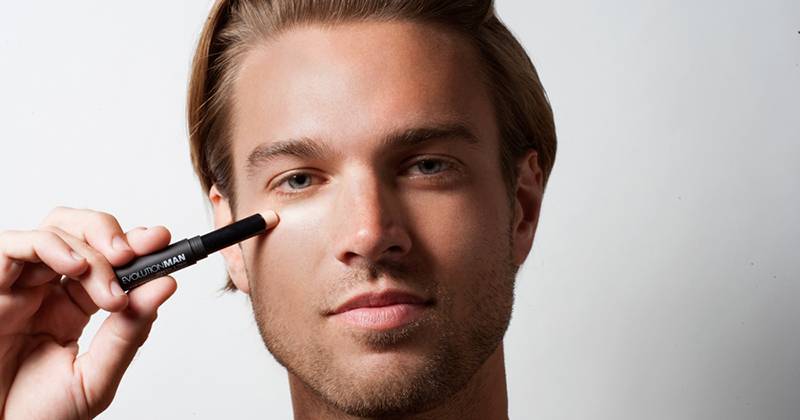 "Mascara becomes Manscara and eyeliner becomes Guyliner." The male beauty industry is always on the lookout of profit and expanding their consumers so, they aren't going to be burdened by the seal of "MACHO" They seemed to change the name of the products to make their male consumers believe there is a difference between them and gay men. That encouraged the invention of Manscara, Guyliner and at the same time calling foundation, tinted moisturizer. "Skincare is for all, not only women." If you exclude the more luxurious items from the list such as foundation, concealer, and lipstick which even most women don't wear on a daily basis then, it is more practical that even men have skin care products. Men's skin gets dry and they need moisturizer, for the more problematic skin on the face you have face cream and for chapped lips, you would need ChapStick. These should not be ridiculed as 'girly' products if anything, you need them to survive in our weather conditions. "Ladke makeup pehne lagenge toh kalyug door nahin hain." Most Indian's haven't gotten used to men wearing the color pink so, it is almost impossible for a man to walk down the street wearing makeup without experiencing harsh comments and judgmental stares from strangers. 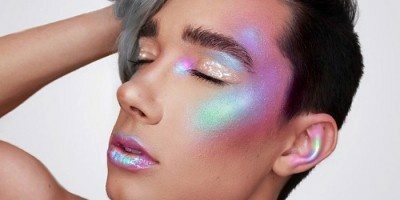 There is a common assumption that if a man wears makeup, he is either gay or a transgender but wearing makeup has nothing to do with one's sexual identity. 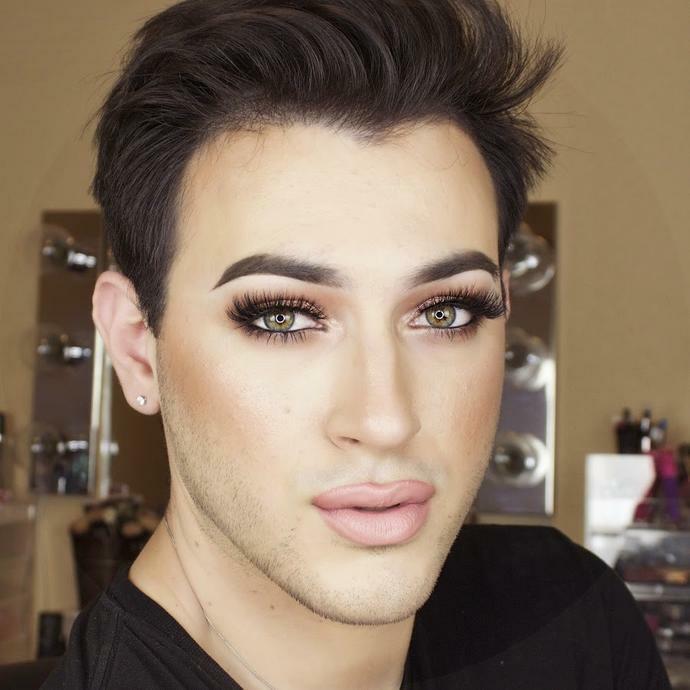 In the recent years, Kohl has become an acceptable makeup to wear for men and not be considered gay. As seen from Shahrukh Khan's character in Raees or Ranveer Singh's character in Padmaavat. Truth be told, MWWM only survive successfully on the internet, there are many Youtube male beauty vloggers who wear makeup and endorse makeup products. Patrick Starr, James Charles and Jeffree Star have over 6 million subscribers but only 11% of them are men. "Stop limiting one's choices, this is a free world." A boy who wishes to wear makeup shouldn't be looked down upon and we as a society should encourage the freedom for both male and female to do whatever they want to do. Wearing makeup doesn't make you less of a man and encouraging someone to wear makeup doesn't make you less of a human. "Just because he wears makeup, doesn't make him gay, understood?"